The success of this Rally was inevitably due to work and efforts of your organization and the vent was thoroughly enjoyed by family and friends present due to your kind assistance. I appreciate the services and salute you for providing the same. 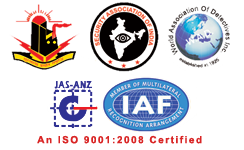 © 2019 CD Safety & Security Services Pvt.Ltd.